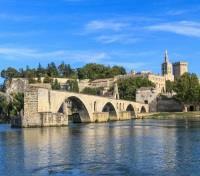 Multi-night Rhone River cruise between Lyon and Arles. 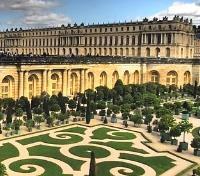 Private guided tour of the lavish palace and grounds of Versailles. 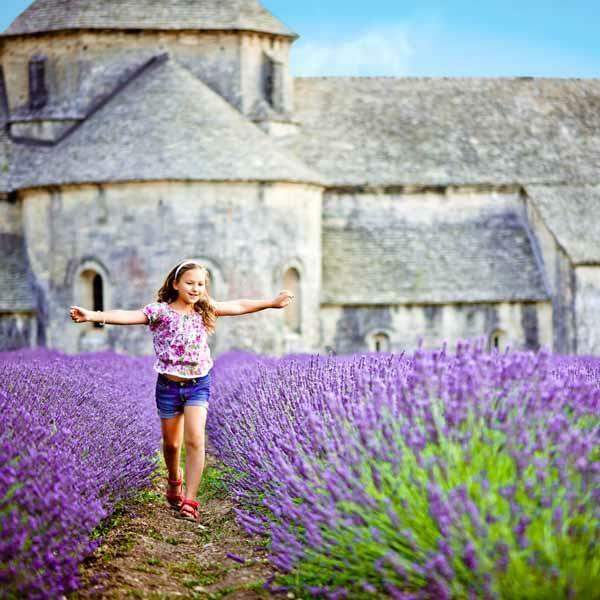 Explore lavender-rich Provence on shore excursions during your cruise. Private guided tour of cosmopolitan Barcelona, including the Picasso Museum. 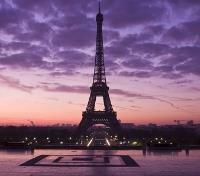 Revel in the romance of Paris, the City of Love, before embarking on a cruise of the Rhone through picturesque Provence. Conclude in sun-soaked Barcelona with a private guided city discovery. 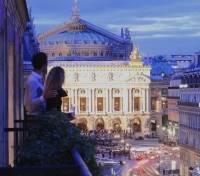 Hotel Edouard 7, an emblematic establishment situated in the heart of Paris, maintains a grand location on one of the capital’s most prestigious and historic avenues, just a 10 minute walk from the illustrious Louvre Museum. Welcoming travelers to an intimate atmosphere combined with the elegance of a historic hotel, the metamorphosis of the 140-year-old Edouard 7 has continued to present day, by melding contemporary French-style elegance with a very British spirit, as it pays tribute to an illustrious past guest, the Prince of Wales. Individually styled rooms feature plush decor and refined details befitting of the modern traveler, while an on-site restaurant offers a seasonal menu which adapts to the freshest local ingredients. Meet your private guide and set out on a 3-hour walking tour of Paris' atmospheric Latin Quarter, located on the left bank of the River Seine. Stroll quaint and charming medieval streets lined with lively bistros, bars and shops, soaking in the Bohemian aura as you go. 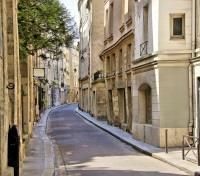 Bear witness to the Sarbonne, on which the Latin Quarter is anchored. Recognized as the second oldest university in Europe, the Sarbonne, or the University of Paris, was officially chartered in the year 1200. View the Pantheon, the Neoclassical masterpiece where Focault's pendulum was originally demonstrated. Contrasting the narrow medieval streets is the busy Boulevard Saint-Michel, where you can take in plenty of 19th century Haussmann architecture, and view quirky bookshops and boutiques. Depart by train from Paris to Lyon. Approximate travel time is 2 hours. Take some time to get situated in your stateroom, and to explore the length of the ship. A Welcome Cocktail will be provided, followed by a special Welcome Dinner this evening. 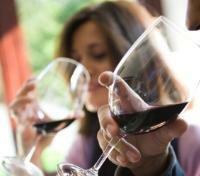 Port charges are included in your cruise itinerary. The MS Amacello debuted in 2008. 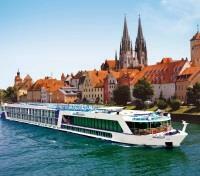 The vessel set new standard in European river cruising and offer a number of features, which no other European river cruise ship can match. The vessel carries 148 passengers in unequaled luxury, comfort and style and is staffed by a highly-trained professional crew, with an ongoing emphasis on personal service. 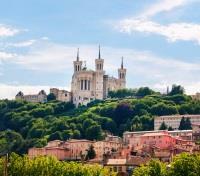 Discover dynamic Lyon, starting in Fourvière Hill, part of the city’s historic region that is now a designated UNESCO World Heritage Site, and home to the 19th-century basilica Notre-Dame de Fourvière. Continue on to the old town of Lyon, followed by a guided walk through the St. Jean district, where you will be introduced to the city’s unique covered walkways, known as “traboules.” During the afternoon, enjoy leisure time or join the guided bike tour through the city, designed with cyclists in mind. This morning’s tour will take you through the chateaux, fields and vineyards of the enchanting Beaujolais wine region, also known as the Pays d’Or or “Land Of The Golden Stones,” named for the richly colored limestone used to build local homes and castles. 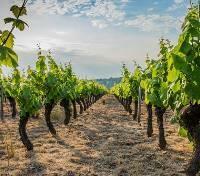 Enjoy a visit and wine tasting at a traditional winery, learning about the history and techniques of their vineyard. Later set sail for Vienne, where you'll enjoy free time to explore the town, or simply unwind on board. Situated between the wine regions of Beaujolais and Côtes du Rhône lies Vienne with a Roman past that can be seen in its marvelously preserved ruins. Take a group walking tour to see the amazingly well-preserved Augustus and Livia Temple, the Saint Maurice Cathedral, a Gothic church that took more than 500 years to build, and St. Pierre Abbey—one of the oldest surviving churches in France, and now an Archaeological Museum. For those wishing to be more active, you can either take a guided bike tour along a portion of the ViaRhôna bike route or a guided hike from the ship to the Monastery at Mount Pipet. 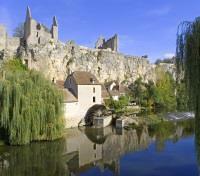 Wine and chocolate lovers will enjoy visiting Tournon, located in the heart of Côtes du Rhône. You have a choice of three excursions. Take a train ride past magnificent landscape carved along the Gorge du Doux stopping at the charming little station of Colombier le Vieux-Saint Barthélemy le Plain, where the train maneuvers in preparation for its return journey. Alternatively, lovers of wine and chocolate will want to visit Le Château de Tournon for a presentation and tasting on the pairing of red wine and chocolate. For a more active adventure, take a hike through the vineyards of Tain l’Hermitage, followed by a visit to a local winery where you’ll sample some of the wines. Avignon, aptly named the “City of Popes,” was the center of the Catholic Church in the 14th century when its “Palais des Papes” was the equivalent of today’s Vatican. Depending on your interests, you have three options of excursions. Discover the history of Avignon on a guided walking tour that includes the Papal Palace and the well-preserved medieval walls surrounding the historic center of town, a UNESCO World Heritage Site. 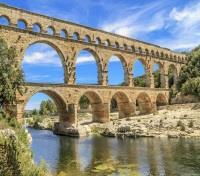 Alternatively, you can go to another UNESCO World Heritage Site, the impressive Pont du Gard, a Roman aqueduct that is a masterpiece of ancient engineering. Or if you prefer, visit three venues around Avignon to taste regional specialties including macarons, cheese and wine, and tapenades. During the afternoon, you can enjoy free time in Avignon; go on a bike tour; or go to the magnificent hilltop village, Grignan. After visiting this enchanting Provencal town, you'll go in search of the highly prized “Black Diamond,” truffles, with a farmer and his trustworthy canine companion. 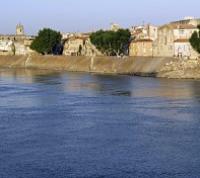 Considered one of the most beautiful cities in France, Arles enchants. For art lovers, you’ll wish to visit Saint Paul de Mausole Asylum, where Vincent van Gogh once lived and painted such well-known works as “The Irises” and “Starry Night.” Many people consider Van Gogh’s Arles period to be the most creative of his career. Afterwards, go to the Carrières de Lumières, where you’ll be treated to a spectacular presentation of art, sound and history projected on the walls of caves. 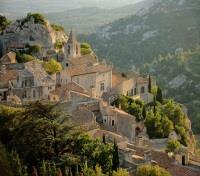 Alternatively, venture to the medieval hilltop village, Les Baux de Provence, followed by a visit to an olive farm where you’ll learn about age-old Provençal traditions from a master olive miller as well as sample the olive oil. 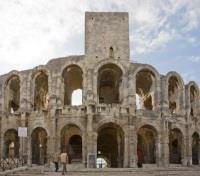 During the afternoon, you can join a walking tour of Arles highlighting top sights, including the Romanesque cathedral and Roman amphitheater, or take a guided bike tour to the Roman ruins. And for those who wish to delve further into Van Gogh’s Arles, join a special walking tour along with a visit to the Vincent van Gogh Foundation, showcasing his legacy. Bid farewell to the crew and your fellow shipmates as you disembark in Arles today. Meet your private driver and vehicle for a transfer to Barcelona, Spain. Approximate travel time is 4.5 hours. 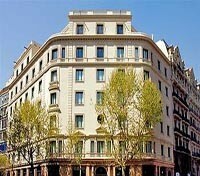 Hotel Barcelona Center is located in the heart of the Eixample district in Barcelona. With it’s fantastic central location, the hotel offers the highest quality, exquisite gastronomy and the most modern technology. Modern and comfortable rooms allow guests to enjoy a space to read, work, and take a well-deserved rest. Enjoy exquisite cuisine with Mediterranean and fresh-produce twists at Balmes 101 restaurant. Discover Mojito Center, the hotel’s panoramic terrace whose modern space combines music, cocktails and gastronomy. Take a moment to relax in on of the hot tubs that can also be found on the terrace. Meet your private guide and transportation and set out for a full-day tour of Barcelona. 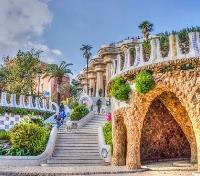 You'll first enjoy a visit to Parc Guell, in upper Barcelona, enjoying beautiful views out over the city. Built at the start of the 1900's, it still remains one of architect Antoni Gaudi's most colorful and imaginative works, and one of the most impressive public parks in the world. From there, head to Gaudi's iconic Sagrada Familia, where you'll get to visit this UNESCO World Heritage Site, and monumental masterpiece of architecture - still under construction over 100 years after building commenced. One of Barcelona's must-see sites, it's the largest unfinished Roman Catholic church in the entire world, and its unique style is not to be missed. Continue to Paseo de Gracia, an elegant avenue in the heart of Barcelona where you'll see four jewels of modernist architecture: Casa Lleó Morera, Casa Amatller, and two additional highly stylized works by Gaudi; Casa Batlló and the Casa Milá (La Pedrera). You'll then admire the 4th century Roman Walls and visit the elegant 13th century Cathedral of Barcelona's Gothic Quarter, before visiting the Picasso Museum, celebrating the works of renowned artist Pablo Picasso. Afterward, continue to the world famous tree-lined pedestrian avenue Las Ramblas, where you can watch Barcelona's bustling local culture come to life. Find yourself at the top of Montjuic Hill for a stunning view over Barcelona, then see the city's red brick Arc de Triomf, and Barceloneta Beach on the Mediterranean Sea. 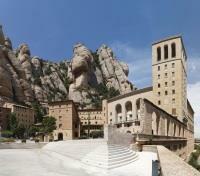 Meet your private driver and guide for a half day tour through Catalunya countryside to the sacred mountaintop monastery, Montserrat. Located nearly an hour outside of Barcelona, Montserrat has remained one of Spain's most significant pilgrimage destinations for nearly 1,000 years, and is home to an order of approximately eighty Benedictine monks. Upon arrival, you'll be guided through the monastery complex, as well as a Renaissance Basilica from the 16th century. Here you can view the 12th century carving of the Black Madonna, the Patron Saint of Catalunya. Perched on a protruding piece of rock, the Monastery of Montserrat offers stunning views out over the surrounding landscape.